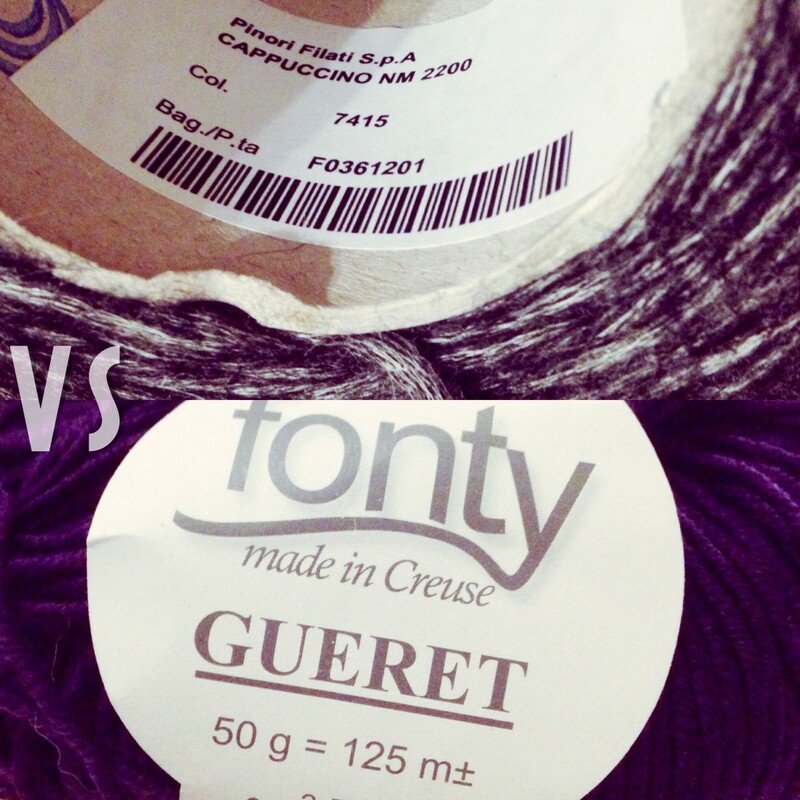 Who could have imagined it was so complicated to know the size of a yarn ?! As I am ordering some test yarns for my knitwear collection from an industrial yarn spinner (local and ecological from Filatures du Parc) I had to decide what size yarns I’d like to use in terms of their yarn count, metric number or Nm. In France and it seems a good part of Europe it’s calculated as the number of km per kg, and also often written in meters instead. It got me thinking about my hand knitting yarns and if I had any of equivalent size that I could also do some tests with. But a quick check and it seems there is no resource for converting between hand knitting yarn weights and industrial yarn counts. Though I managed to convert them with some simple math by checking the number of meters indicated per gram on my hand knitting yarns ie #m/#g. In all I estimated that the hand knit yarns varying between weights Bulky 5 and Lace 0 are equivalent to industrial sizes 1 to 8 Nm (ie. 1km to 8km per kg). Whereas knitting on the machine I use up to 20 Nm or even more, but only by combining many yarns together. (FYI to be precise I’ve divided out here the number of plys in industrial yarns, often written just before the Nm followed by a slash, but you would only have to divide the Nm by the number of plys, for example a 2/10 Nm is the same as a 1/5 Nm). You can see how complicated it gets just within the hand knitting world with this thorough explanation of all the myriad ways to measure hand knitting yarn weights : http://paternoster.orpheusweb.co.uk/lace/knittingyarns.htm. I also found this handy industrial knitting yarn converter for different countries, US, UK, and europe mainly don’t use the same system : http://www.cleavebooks.co.uk/scol/ccdentex.htm.